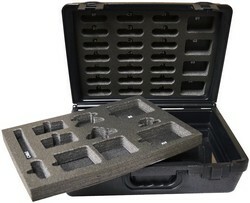 Heavy duty plastic case with 2 custom foam inserts for housing your Snap Circuits™ parts. Easy to identify missing components. Also includes a separate small case to hold the smaller loose parts.